Leading a team and finding ways to solve complex problems are just some of the main priorities of project managers. As they work towards goals set by the company, and want to lead the team effectively to complete tasks in a timely manner, project managers have sought-after skills that can help businesses thrive. This then can enable the team to put all their focus on growing the business instead of trying to work on the duties and responsibilities a project manager is expected to do. With their ability to build relationships, manage budgets, resources and ensuring that the team are getting things done, these are all important skills to have as a project manager. This can make them essential to any business, big or small. What are the in-demand project management skills? Since project managers are not limited to just one industry, they are either developing their skills through on-the-job experience or undertaking further studies. As project managers have experience in managing a team and meeting multiple deadlines, their skills are sought-after by companies looking to improve the way they work and how best to meet their clients’ needs. Culture and organisational behaviour: Project managers who undertake any cultural and behavioural training can help enhance the collaboration within the team and drive stakeholder performance. A project manager with well-developed skills in culture and organisational behaviour can help organisations achieve their goals by creating a workplace that is harmonious with less conflict between staff members. Mentoring: Mentoring goes hand-in-hand with culture and organisational behaviour skills, as it can help staff feel motivated when it comes to set tasks and take on more responsibilities. Project managers offering mentorship skills can give relief for companies because it can help them recognise the talents of their team, while also encouraging growth and development in their current roles. Business: A project manager with a business-mindset can help them align the company goals and have main objectives in place to help improve and manage projects, especially when they are working with clients. Having this mindset also helps them be strategic and to stay focused on the outcomes they want to achieve. Agile and hybrid methodologies: Agile project management is a sought-after technical skill employers are looking for. Businesses often struggle due to the competitive landscape and changing consumer needs. To be agile can be beneficial for a project manager because they can adapt to the changes and be flexible when the business landscape shifts. In addition, having a hybrid approach can help project managers adopt to multiple methods when finding a solution to a complex problem for the business. No only do project managers have an impressive skill set, they are also needed in business to improve the culture, productivity and work towards the company and its people. 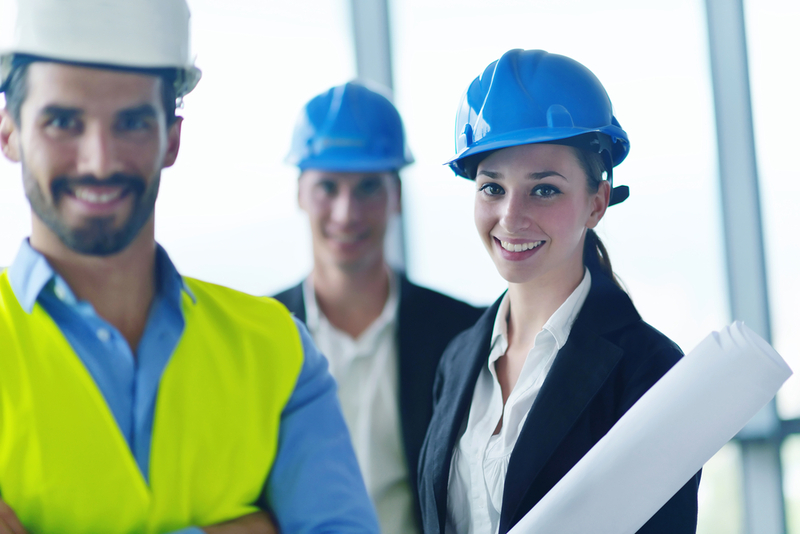 Here are some reasons you should consider hiring a project manager for your business. According to Harvard Business Review, being able to prioritise helps improve the success rate of strategic projects, which allows senior management to refocus their goals and vision and eliminate the doubt felt when making decisions for the company. Project managers sit down with you and lay out all the things that need to be prioritised. They will also be the first point of contact if things need to be changed, or redirected. Project managers are also reliable in setting timely deadlines to ensure the smooth management of projects for the company, keeping clients happy. No matter how big or small a team is, employees have a lot to do. Since project managers have oversight of project deadlines, they need to make sure that they are at least aware of what an employee is working on and if the task is a priority. In order to meet project objectives, project managers need to have open lines of communication and recognise that their team may need help on certain tasks, require further training or simply be open to a new idea or creative solution to help complete a project faster. A project manager allowing open lines of communication can help employees be on the same page as each other. By doing this, it streamlines communications between teams and reduces problems of miscommunication within the business. Project managers are trained to be resourceful and have a wealth of knowledge when it comes to hiring the right contractors for a specific job. They can also effectively stick to budgets proposed by the company, helping them save time when it comes to the allocation of money and resources for a particular project. This is why companies who have existing project managers have a competitive edge since businesses are less stressed. This is because they have someone properly monitoring their projects, ensuring that resources and money are being used effectively. See yourself as a project manager? Upskilled offers courses in project management and can help you advance in your career, especially if you are interested in taking up a management position at either your current workplace or a different one. Our most popular course is the Diploma of Project Management (BSB51415) and this course can be completed within 12 months. This qualification is recommended for those currently in a position where they want to advance into a project management role, or are project coordinators wanting to develop their skills even further. In addition, if you are interested in learning more about the project management industry, check out Upskilled’s latest ebook ‘Careers in Project Management… and the future of the industry.’ It includes information on the current trends of the industry in Australia, skills you need as a project manager and career options available if you complete a project management course. If you’re in a business looking to hire a project manager, or simply want to promote an existing employee into a project management role, remember why you need one in the first place and understand that their skills are relevant to help the success of your business.